Cat-eye and retro shapes have been making waves in the fashion scene over the past couple of seasons, and this fall these trends continue to be downright irresistible. Here to feed your hunger for these must-have styles are brand-spankin’-new Lisa Loeb frames, which (if you’re an optical junky) the lovely Lisa Loeb herself will be on hand to show off at Vision Expo West. For those of you not in the industry, we wanted to give you a sneak peek at what’s to come because we’re sure you’ll fall head over heels for these spexy new glasses. The new sassy cat-eyes have defined angles that will give your face a young, refreshed look and your outfit the fashionable boost it’s been looking for. The retro styles are pronounced and chunky and deliver straight geek chic appeal with a feminine flair. 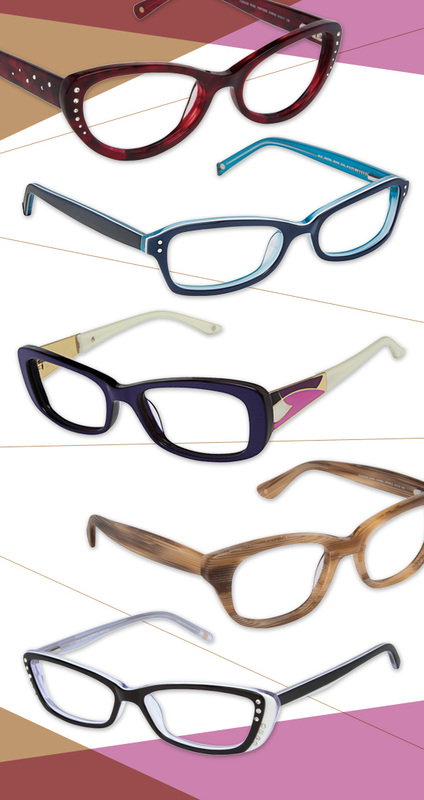 All six new frames feature rich hues like classic tortoise, two-tones, powder blue, lush lavender, earthy neutrals and more, along with temple embellishments that are sprinkled with rhinestones and elegant cloisonné finishes. We have to say, overall, Lisa Loeb’s fall collection has undeniable charm and style that will make the upcoming cold months much more bearable.